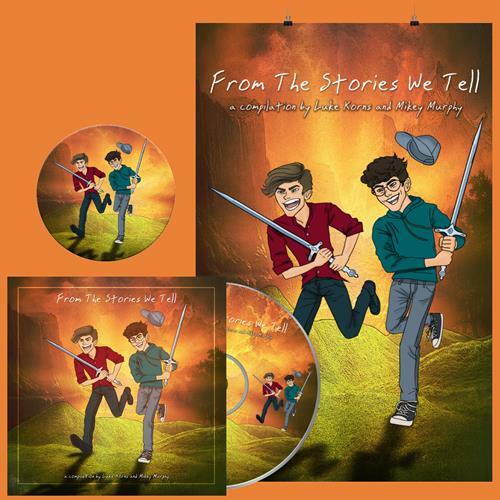 FROM THE STORIES WE TELL is the first music compilation by Mikey Murphy and Luke Korns. This compilation, "is a wonderful opportunity for Luke and I to share the music we associate with our favorite memories. You watch us on Youtube and hear about the crazy adventures we have been on, but you have yet to take a step further into our world. I hope that you can go on your own adventures and make memories with the music we have chosen to share with you - enjoy, what is: the soundtrack to our story.” says Mikey. Luke mentions, "The last few years of my life have been the best. These are the songs that have gone parallel with my adventures and hold a certain value to me. Songs can mean a lot to people, and these songs mean a lot to me.” This mix brings together best friends Mikey Murphy and Luke Korns to share the music they love with all of you! Enjoy! 1 Physical CD of "From The Stories We Tell"